I love to take photos since I was younger. It makes me feel that I preserved the special moments in particular events I attended. I do cherish them especially when there is an occasion that involves my family. This is how I can turn back and look the happy times we share. While growing up, I got to keep more and more photos than before. I choose nice pictures and would like to print a hard copy so I could put it in my scrapbook. However I can’t afford to pay all the printout copy if I have it printed one by one. 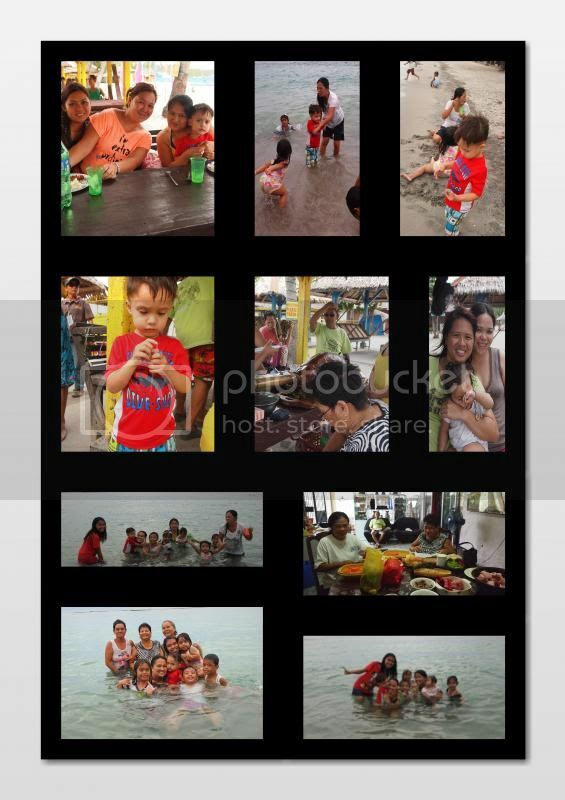 I need quick and easy software that can help me compile my collected photos into one big printout. I’ve seen photo prints from websites online about CollageIt. At first I was hesitant, but when I was given the chance to get a free printout I was ecstatic. I love the outcome and I like how it was combining into one printout, I can even customize the picture as much as I want to have. Step one: Add Photos = simply add your photos to the installed Software. Sort the once you want to combine or compile make it by batch so you won’t get confused. At least that’s how I did mine. Step two: Make Settings = Once you are done with the sorting, you can choose the setting you wish to use. You can auto shuffle the pictures, crop or reset to fit it. You can also use a random layout in the setting. Step three: Generate Collage Preview = when you are done with your settings and added your photos it is very easy to look the preview the format you utilize in order to see what is the outcome. 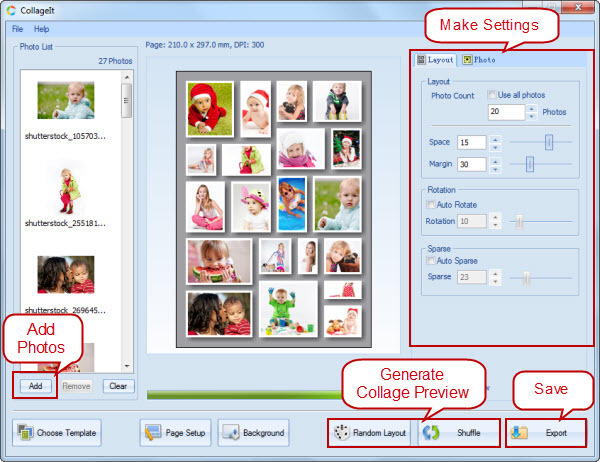 Step four: Save = Once you generalized your work, simply save or import your pictures for printing. Now, you have a collage result of the photos you want to combine in your computer. It is as simple as these four steps. If you want to know more information visit: http://www.collageitfree.com/ or you can use their free trial. Like Facebook page and instantly get your 40% off immediately. You can also follow them on Twitter for more updates. As the Mother’s Day celebration is fast approaching, this is one good Mother’s Day gift for your Mother’s or Wife. So, I am doing a Giveaway on this blog. With the generosity of CollageIt.com, they prepared a 20 License code [12 Windows & 8 Mac] for the winners of this giveaway. You must be 18+ years of age. The Giveaway is open worldwide. That's pretty quaint, I'd love to try it since I have tons of pictures that need printing.. I love making collages, being creative with photos is so much fun! I have so many photos to work with, I could do so much!! Very cute! My teenage daughter would really like this. I am terrible at scrapbooking but love to do things on the computer. Looks like a fun program. These days that we take lots of digital photos, definitely a collage software will print photos quickly. Nice collage you have there sis. That sounds like an awesome product! Thanks for the giveaway! I feel the same way I love taking photos I love getting pictures of my family when we get together. It's always nice to look back on them and remember. I already commented and joined this giveaway--but I did just re tweet it! This is really cool! Just liked you, I also have tons of photos. I will surely need one of this software. Thank's for the beautiful review! I absolutely love this software. It is so easy and if I can do it, anyone can, lol. We love to put together collages that we can send to the family after a vacation or milestone like birthdays. They don't have to scroll through a bazillion photos but still get to enjoy the shots. I have been a user of Collage it Free and I am sure that I will enjoy the paid ones. I usually collage my daughter's pictures. I would love to make an Autism puzzle piece picture collage. Joined here too! Good luck to all! I won a giveaway from this company. I used it a lot. This looks super easy and fun! I have a photo collage on my wall right now, it's my husband's son. We haven't met him ever, thankfully the internet is so open and I have around 50+ pictures of him!! hehe I love Photos!!! Especially Collages!! I want one of this for my photos! good luck for everyone who joined. I already have this sis and I'd like to use it one of these days. I love playing around with photos and this looks so much fun. If im lucky enough to win I would love to do a lovely family collage going through the years. 40% off is a great deal. This will be a lot of fun to use. I love photo editing software. This is great for scrapbooking as well! I love to make photo collages! i like making collage. would love to win this one. I love collages. Cool product. I love taking photos it's one of my favorite things to do as well. Collages are a nice way to layout you photos. It's really a great way to edit photos. I've downloaded it on my laptop and always use it anytime. I have created so many great things with this software. I made a great Mother's Day gift for my mom, love it. Until now I haven't tried the software. waaaa. gotta do try it too. good luck to all! Is it easy to use ba sis? I have a software that I never used because its a bit complicated for me. i wanna win this. :)this looks awesome! I love playing with photos thank you for sharing this giveaway. That's a nice way to put your pics into a collage with a use of a photo software. Great giveaway too! This is indeed very useful especially when i need to put lots of pictures in one post when I blog. A must have if you have tons of photos to share! Awesome software! Nice way to design digital photos right in the computer. Making collage s is fun especially if you have a good software. This is a great ideas and fun too I have been Collages some pictures of my son since that his school is almost over its important matter in our life just preserve the special moment in our life too. This software makes compiling photos a lot easier!